Polio vaccination at the UN-House Protection of Civilians (PoC) 3 site in Juba, South Sudan. 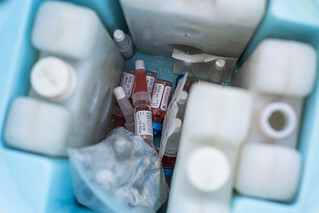 The Ministry of Health of the Republic of South Sudan is conducting the fourth and last round of its national immunization campaign for 2014, with the support of the UN Children’s Fund (UNICEF) and the World Health Organization (WHO) and working with local non-governmental organization Magna. The campaign is targeting children aged 0 – 5 years and aims to immunize 2.4 million children nationwide.